Several new graphics to complete the existing Kapio* range: Yellow Gangster, Orange Racing, Green racing and USA. 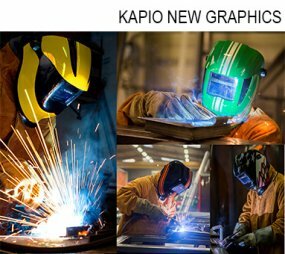 The Kapio* range now offers 10 different graphics to please all welders. Available with our S2, S4 and S9 filters, these 4 new Kapio* are distributed in Side Vision version. Also available and certified with the Airkos* respiratory protection.